We are launching a webinar series to provide a space for practitioners and researchers in both the leadership and network development areas to connect and learn from each other. Often these groups are not connected and we want to build awareness and even collaboration across the research – practice divide. We will focus on the intersection of leadership and network development. After clarifying the various ways in which leadership and networks intersect, we will consider the following questions: what does it mean for people in networks who see the need to be more intentional about developing leadership, and what does it mean for leadership development practitioners to design and deliver programs that better equip their participants to effectively utilize network strategies and tools. This first webinar explored the intersection between leadership and networks, and introduce a relational perspective of leadership. The three partnering organizations discussed concrete examples and ideas from their work, at the end participants had a chance to ask questions. Charles J. (Chuck) Palus is a senior faculty member in Research, Innovation & Product Development at the Center for Creative Leadership. He is co-founder and manager of CCL Labs, a community-based innovation laboratory that prototypes products such as the Leadership Explorer tools including Visual Explorer; Leadership Essentials; and the Early Leadership Toolkit. Chuck is a designer, facilitator and researcher in the CCL Organizational Leadership practice and is one of its co-founders. He plays similar roles in the emerging Societal Leadership practice area. Programs he has co-designed / facilitated include: Leading Creatively; EdgeWork; Facing and Solving Complex Challenges; Transforming Your Organization; Boundary Spanning Leadership; and Leadership for Societal Impact. He is a passionate contributor to the Leadership Beyond Boundaries initiative for democratizing leadership for societal impact. He has been published widely, including in Leadership Quarterly, the Handbook for Teaching Leadership (Harvard Business School), the CCL Handbook of Leadership Development, the CCL Handbook of Coaching, and the Change Handbook. He is co-author of the award-winning book The Leader’s Edge; and of Making Common Sense: Leadership as Meaning-Making in a Community of Practice. 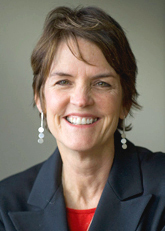 Kristin L. Cullen, PhD, is a Senior Research Scientist at the Center for Creative Leadership. Kristin joined the Center for Creative Leadership (CCL®), a top-ranked, global provider of leadership education and research, in 2011. She has deep expertise designing and implementing applied research. Kristin is currently leading applied research projects to examine the use of network analysis in leadership development. She was awarded an Alfred J. Marrow New Directions in Leadership research award to examine the impact of agile work practices on the development of team networks. Her research also examines the topics of political skill and leader integrity and the importance of workplace relationships for achieving interpersonal influence, leadership, and organizational change. This research can be found in peer-reviewed journals, including The Leadership Quarterly, Journal of Management, Journal of Vocational Behavior, and Industrial and Organizational Psychology: Perspectives on Science and Practice. Kristin is on the editorial board of Journal of Business and Psychology and is an Ad-hoc reviewer for The Leadership Quarterly and Journal of Organizational Behavior. She earned her Ph.D. in Industrial/Organizational Psychology from Auburn University. Sonia M. Ospina is Professor of Public Management and Policy in the Robert F. Wagner Graduate School of Public Service at New York University. She was the co-founder and Faculty Co-Director of the Wagner affiliated Research Center for Leadership in Action (RCLA) from 2003 to 2015. She has a Ph.D. in Sociology and a Masters in Public Policy and Management from the State University of New York at Stony Brook. A sociologist by training, she applies organization and management theories to public problem solving and governance, in the United States and in Latin America. These interests are reflected in three areas of scholarship: leadership and social transformation (exploring the civil society side of governance); change in public management systems (exploring the State side of governance); and the craft of qualitative research (exploring research solutions to studying these areas and their intersections). She is the author of numerous referred journal articles, book chapters and books, among them, Advancing Relational Leadership Research: A conversation among perspectives (Information Age, 2012), co-edited with Mary Uhl-Bien. 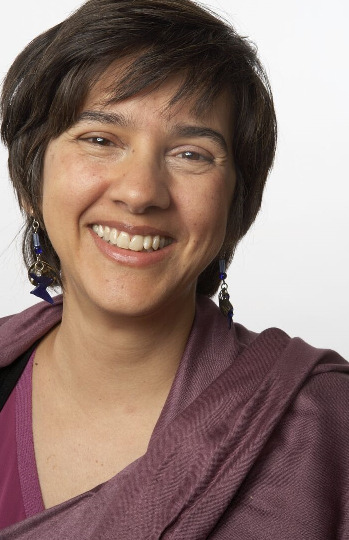 Professor Ospina has co-organized two international research and teaching workshops on Collective Leadership at NYU, the last of which just happened in April of this year, with the participation of 45 scholars from ten countries. Deborah Meehan is the founder and Executive Director of the Leadership Learning Community (LLC). In 1991, Deborah received a Kellogg National Leadership fellowship. She was also a 1991 Salzburg Fellow and returned to Salzburg in 2007 as a member of the Global Youth Leadership faculty. Deborah also conducts an annual Women’s Leadership Seminar. She has served as a consultant for the W.K. Kellogg Foundation to build an alumni association for the 700 leadership alumni of the Kellogg program. Deborah has created a consulting services arm of LLC and conducted evaluations for national and international leadership programs and produced leadership scans, literature reviews and made program recommendations on behalf of 30 foundations that include a broad range of small, large, regional, state and prominent national foundations. Network Leadership Webinar Series: A Collaboration Between LLC, CCL, and NYU Wagner School of Public Service from Leadership Learning Community on Vimeo.